I listened, not intently, but just enough to catch pieces of what was happening. Down the hall, a monitor alarmed. I knew the sound too well from my days as a hospital nurse. The cardiac rhythm was irregular, to the point where sustaining life could be a challenge. I heard the hushed voices of the medical team around the bedside, along with the occasional plea of panic from, who I can only imagine, was the patient’s mother. There is a special tone of desperation when it comes to pleading for your child. If the prayer does not get answered, it would alter your very existence for the rest of time. It was the middle of the night, almost the early morning, and I was sandwiched between my youngest daughter and the railing of her hospital bed. 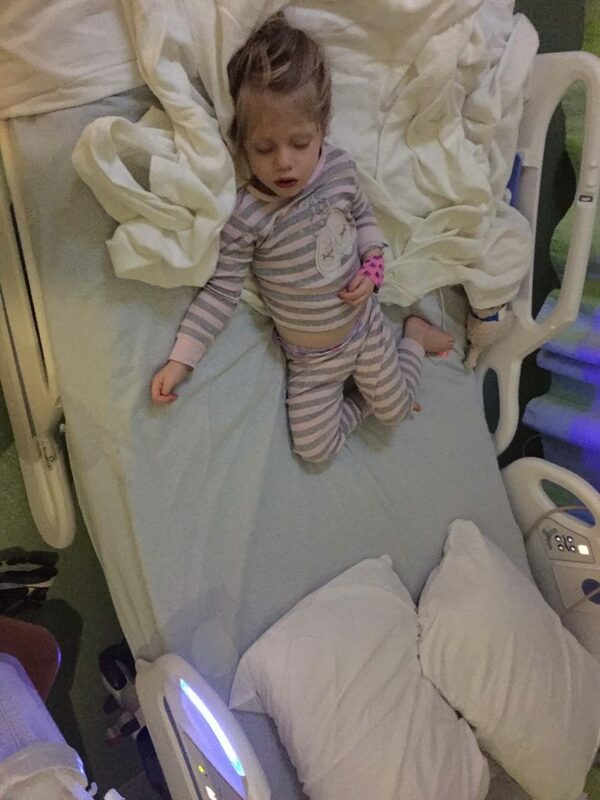 She had surgery just twelve hours earlier, and since the surgeon had altered her airway, my smallest baby needed to stay in the hospital overnight to monitor her oxygen levels. She slept next to me, only occasionally kicking off her monitor, and completely unaware of her neighbors’ struggles. This was her second surgery in six months. In the grand scheme of things, both of these surgeries were minor, especially when compared to what she could have to endure. My daughter’s overall presentation wasn’t especially detrimental, but came with challenges nonetheless. She had global delays and a couple of congenital defects, the combination of which landed her in multiple therapies each week and as a frequent flyer in the ENT clinic. Many moments of the day, I feel overwhelmed by the collective needs of my family. There are four small children requiring my constant supervision and frequent intercession. Our baby’s struggles compound to create a hectic mess of chaos. But somehow, sibling squabbles, dirty soccer cleats, and speech therapy don’t hold a candle to the battle our hospital neighbors were waging that night. As the sun rose, discharge orders were placed in the medical record, and my little lady and I visited the coffee cart on our way back home. I glanced around the cafeteria, glimpsing poles holding potent antibiotics and small children casted in cervical collars. We are always just one minute away from having our story change. Whenever I lose this perspective, all I need to do is walk through the hospital cafeteria on a random Tuesday morning. I smiled down at my daughter, who was interested only in her banana, and not how truly fortunate she was that morning. I was quick to dismiss my anxiety and trepidation from the day before, as we sat, waiting for the surgeon to call us. 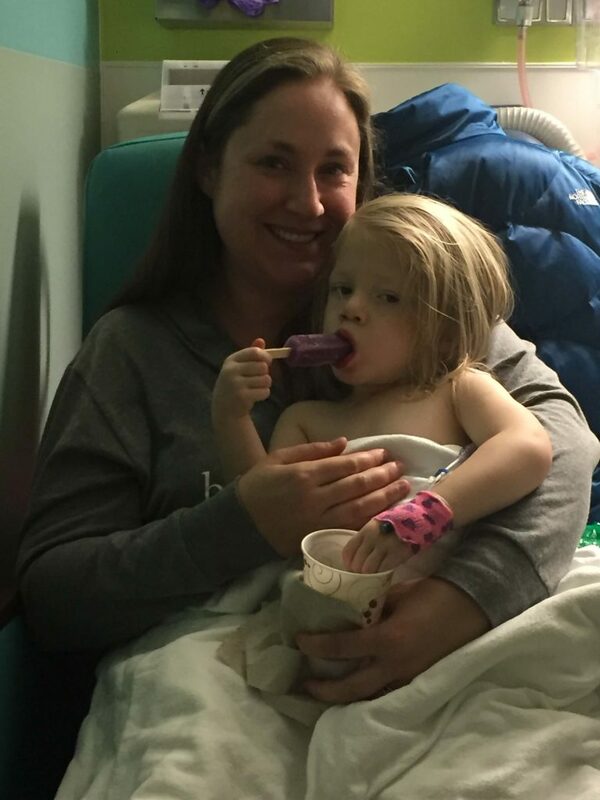 I wanted to shove to the depths the mental image of the tiny endotracheal tube sitting by her side, which had been removed only minutes before we saw her after surgery. I had to forget how my heart jolted when her oxygen alarm went off, and how many minutes it took me to convince myself that, in fact, her airway was not constricted, but she had just kicked off the sensor. As we came home, after only twenty-four hours in the hospital, I allowed my feelings to stay smothered, instead throwing myself into her recovery. 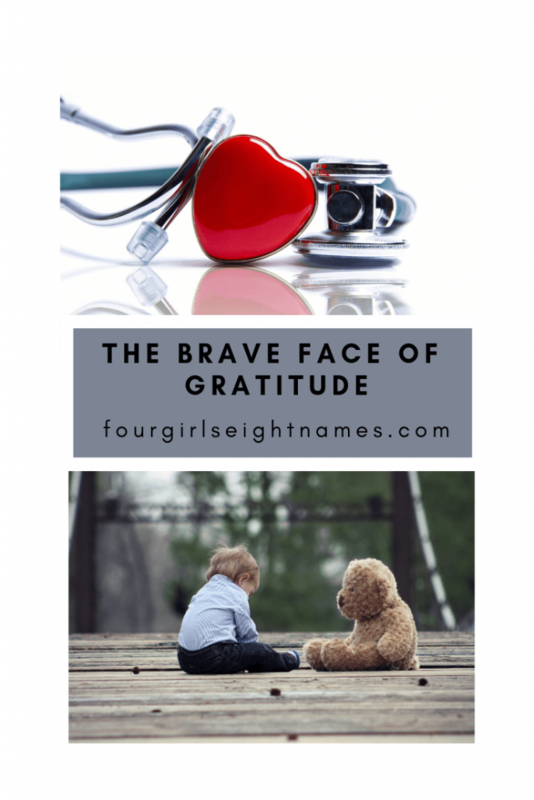 Dietary changes, activity restrictions, and persistent therapy allowed me the option to put on the brave face of gratitude. 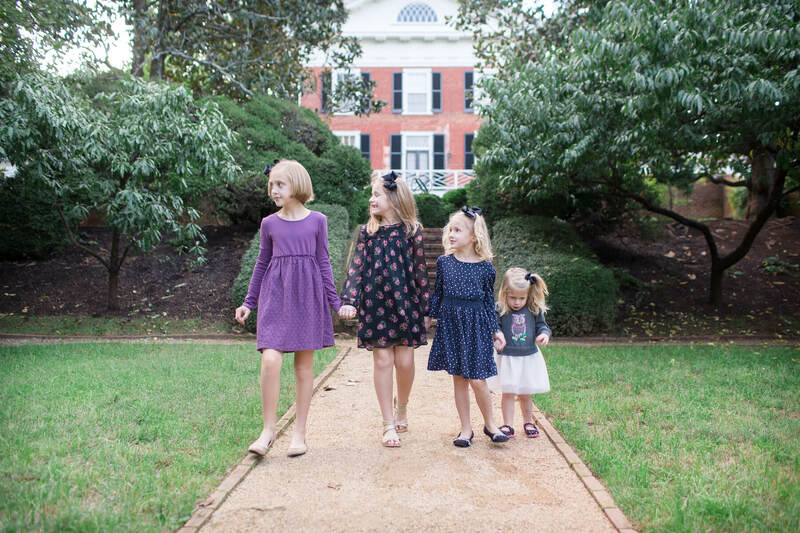 I was, and will always be, so thankful for our circumstances: though my daughter may struggle, we have the resources, knowledge, and option to support her growth. The starkest realization for me during her recovery was that I could still have feelings of gratitude, but I could simultaneously buckle under the mental weight of caring for my family. Though there may be no one better suited to care for my children than me, I need to acknowledge that this yoke presents a challenge in our daily lives. I also need to remember the grace I should extend to myself. Just because I know our circumstance could be worse, it doesn’t mean I am not allowed to feel challenged by our setbacks. There will always be someone who is struggling more than me, but acknowledging we are in a season of trials is the first step toward healing. Simply saying, “This is hard”, without feeling guilty, gives support to the crucial steps of moving forward. In my moments of fatigue, frustration, or defeat, I think of my neighbor in the hospital, who shows her own brave face with strength and dignity. I hope that she got to visit the coffee cart one morning with her bubbly sidekick, who was blissfully unaware of what was happening in their world. And that she had the profound opportunity to take her child home and nurture them back to health.